Weavaway Travel Fleet List: Former Oxford Bus Company Scania K114EB / Irizar Centurys A-EF53 OXF have been purchased from Ensign (dealer), with CF and EF having arrived and entered service at Greenham already. All are being converted to C70F prior to delivery. Meanwhile E200s SN11 BWG/H have been sold to Ensignbus (dealer) with BWJ and SN61 DCF to follow imminently. Thanks to Dave Wilder for this. 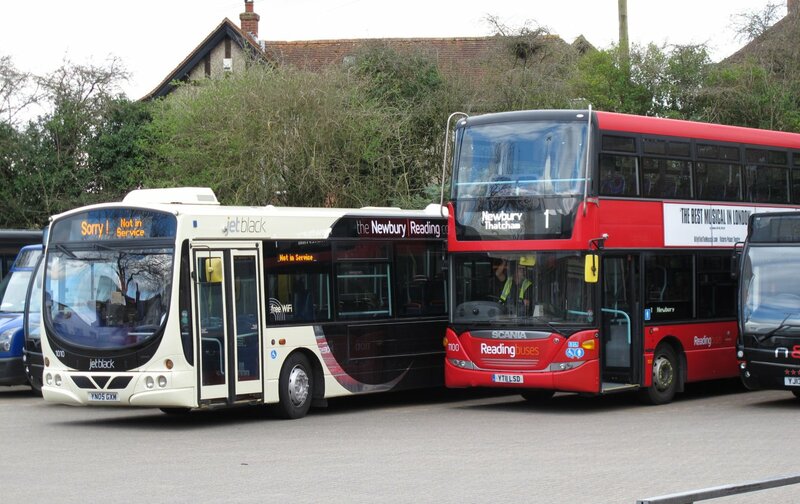 Reading Transport Fleet List: 847 returned to service in the new Sky Blue livery yesterday. Thanks to James Cusworth for this. Reading Transport Scania OmniCitys: The new owner of 1 is Peppin Transport, Hal Ghaxaq, Malta. 1 was selected over 8 because the purchaser required a vehicle with full air conditioning, which was fitted to the former TVP vehicles 1-5 but not the original Vodafone vehicles 8-12. Thanks to Brian Coney for this. 1 has already arrived and entered service in Malta with registration BPY 032 and in plain red livery. Thanks to Chris Maxfield for this. 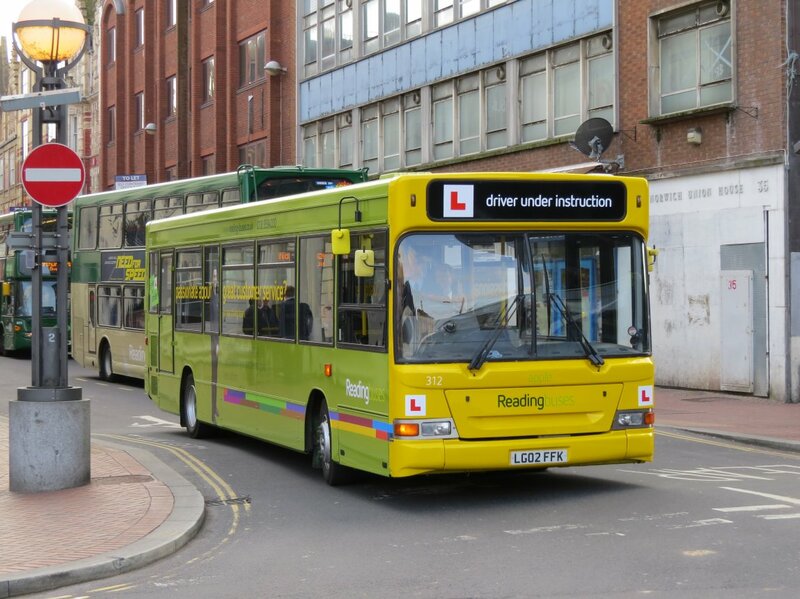 First Berkshire Fleet List: The three Streetlite Max are now expected in May rather than April. Thanks to Brian Coney for this. Stagecoach in Oxfordshire Fleet List: 33464 went on loan to Banbury on 26th. Thanks to Martin Townsend for this. 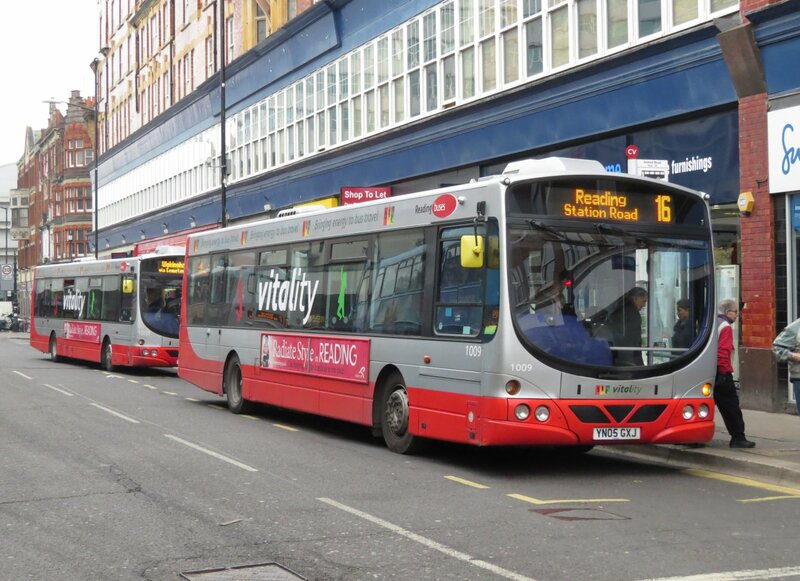 Reading Transport Fleet List: 8 is confirmed as having returned to Newbury following the departure of 1. Thanks to John Wheeler for this. White Bus Service Fleet List: Only one of the two Optare Tempos YJ07 EGD and YJ57 EHV is to leave the fleet with the arrival of the Versas in order to provide a low floor spare for the new services. Thanks to Mac Head for this. Stagecoach in Oxfordshire Fleet List: 36763 is also to transfer from Oxford to Witney replacing 33463/4 which are going into reserve to join 33650/2-4. 33462 meanwhile is confirmed as having been withdrawn for disposal. Reserve 22935 has transferred to Yorkshire and 33821 has been sold. Car 90183 replaced 90157 in February and van 93308 replaced 95178 in March. Aldermaston Coaches Fleet List: New in July 2013 was LDV Convoy BC53 AEW numbered 13. Thanks to Bus Fare magazine for this. News Page: Jet Black Boost with photos of 1010 & 1100 and 1011. Thanks to Bob Morley for the first photo. 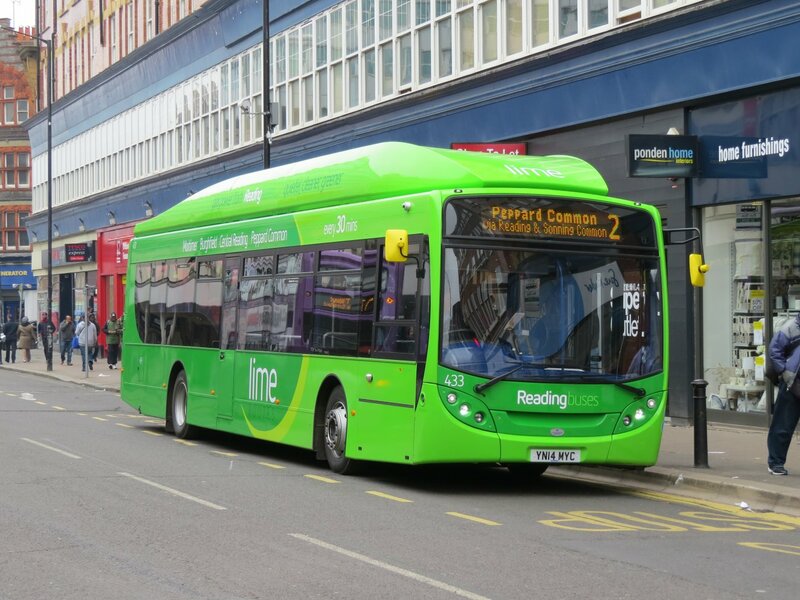 Reading Transport Fleet List: 423-9 are no longer expected to be used on the Pink Routes following their delivery, although they will be in Pink livery. Their intended use is now a mystery! 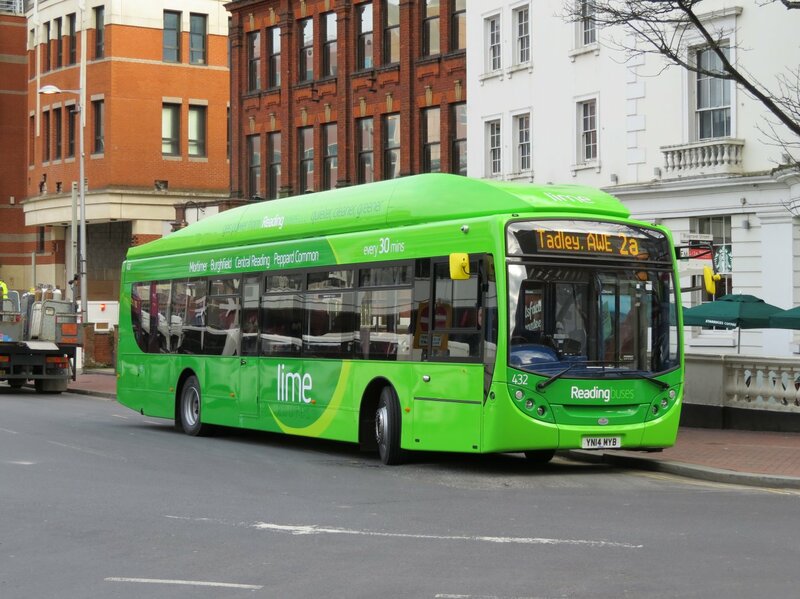 Reading Transport Fleet List: 1 is thought to have been withdrawn and sold to an operator in Malta, being noted in France on 19th. Thanks to Adam Conner for this. It may have been replaced by 8 or 1007 in the meantime, but observations are required to confirm. 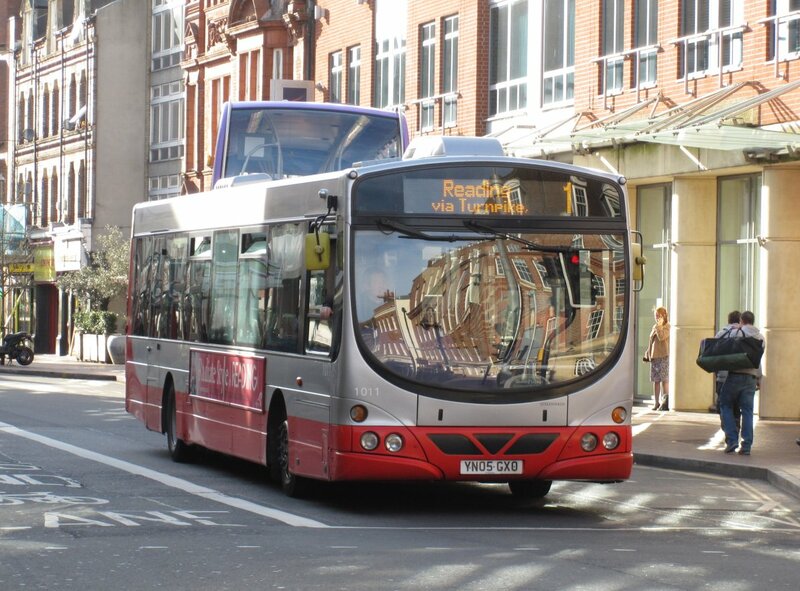 Loaned 1100 entered service on route 1 in London red by 21st and is registered YT11 LSD. 1010 returned to service in Jet Black livery on 17th, with 1011 loosing it's Vitality branding and remaining in service whilst 1008/9 and possibly 1007 now appear to be in reserve. 1010 and 1100 have had WiFi fitted. Reading Transport Scania ND230 / East Lancs Olympuses: 846 has been repainted into the new Sky Blue livery, returning to service on 15th. Burghfield Mini Coaches Fleet List: The final five vehicles were withdrawn on 7th. Carousel Buses Fleet List: 103, 113 and 119 have now made it into the fleet from Oxford Bus Company all in plain blue. 925 has been withdrawn whilst 928 is in reserve. Former Thames Travel 916 is also at the Carousel depot but not confirmed in use. Thanks to Ralph Adams for this. Courtney Buses Fleet List: Former RX57 MDZ is now in use with A & J Ballantyne of Bellshill. Thanks to Gerald Nichols for this. First Berkshire Fleet List: 64030 has transferred from Slough to Bracknell and 65602 has been withdrawn. Thanks to Mat Wooll for this. Horseman Coaches Fleet List: New are Volvo B9R / Plaxton Profiles YX14 SBO/U/V/Y. Stewarts Coaches Fleet List: KX59 GNY was returned to Dawson Rentals by March, passing from there to Bristol Greyhound. White Bus Service Fleet List: New are Optare Versas YJ14 BBU/V. Optare Tempos YJ07 EGD and YJ57 EHV are expected to leave shortly, along with loaned Plaxton Primos KX57 FKW/OVC. 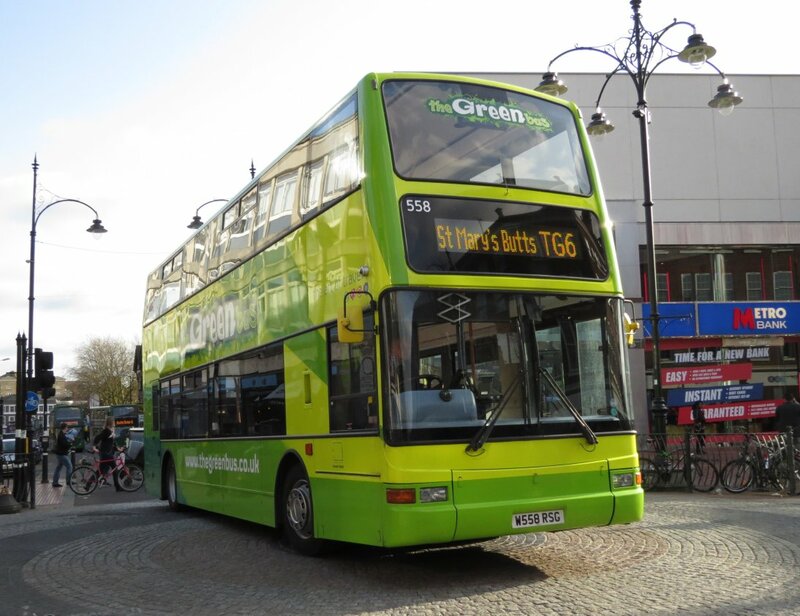 Oxford Bus Company Fleet List: 51, 52 and 83-90 have been withdrawn. Stagecoach in Oxfordshire Fleet List: 33760 transferred from Oxford to Witney a couple of weeks ago to replace 33462 which has been withdrawn. 33761 has now done likewise to replace 33653, with 33762 expected to follow to replace 33650. Thanks to Chris Maxfield for this. 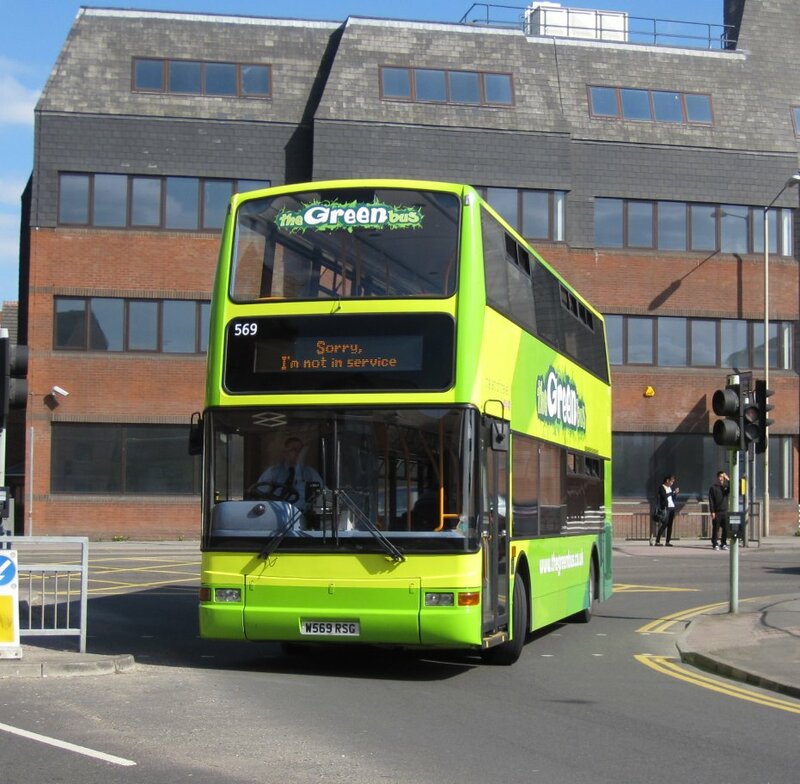 Oxford reserve 22768-71 are to be returned to normal service for use on route 10. Stagecoach in Warwickshire Fleet List: Megabus 53643/4 returned to Rugby from Glasgow on 15th. Thanks to David Walker for this. 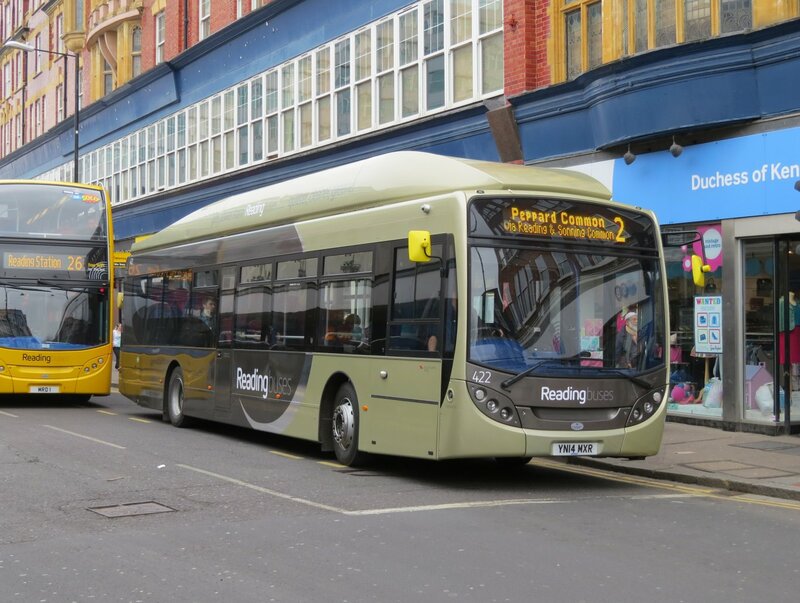 Reading Transport Fleet List: 1010 has gone away for repaint into Jet Black livery, and will temporarily be used alongside loaned 1100 to improve reliability on the 1 from 17 March. Carousel Buses Fleet List: 923 has been withdrawn and parked out of use. Thanks to Richard Sharman for this. Oxford Bus Company Fleet List: Enviro400 demonstrator SN59 AWW is on loan with temporary fleet number 900 and lettering for route 5. 11 and 15 have been repainted and renumbered differently to originally expected, 11 becoming 44 and 15 becoming 82. 10 has also become 81. 81/82 are in X90 livery and 41-47 in white generic. Thanks to Malcolm Crowe for this. White Bus Service Fleet List: L606 ASU was sold a few months ago to Lianne Coaches, Slough. Vauxhall N664 GOR had also left the fleet by February. 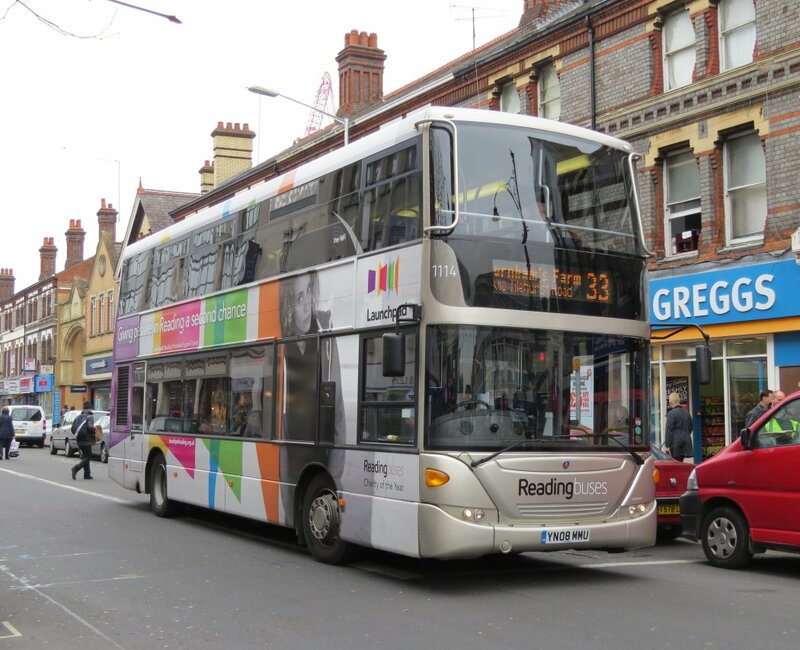 Reading Transport Fleet List: 421 entered service on 3rd. Thanks to James Cusworth for this. Reading Transport Scania ND230 / East Lancs Olympuses: 845 has been repainted into the new Sky Blue livery, returning to service on 1st. 846/7 were also both in operation in the old livery suggesting a short pause in the repaints. Reading Transport MegaRears: 857 has gained a new MegaRear for Just Tiles. Thanks to James Cusworth for this. Courtney Buses Fleet List: RX57 MDZ has been sold to an operator in Scotland. 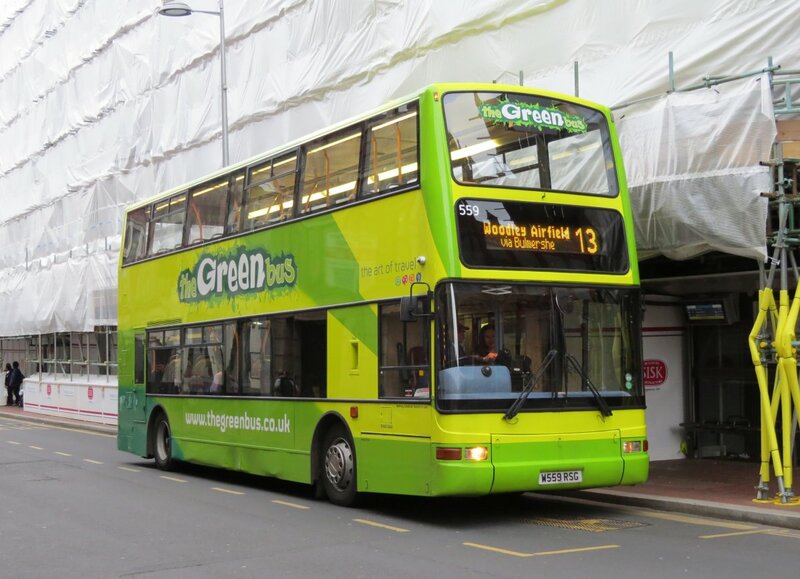 YJ62 FYF has been repainted into Lemon & Lime from Blue, whilst YJ09 OTV is to repainted into White from Lemon & Lime. Two vehicles are on order for April, one will be for the Foundation Park service allowing YJ10 EZX to become a spare vehicle. E200 KX58 BGY and Solo YJ55 BLV are still in stock waiting to be returned off lease. Thanks to Glen De Sousa for this. 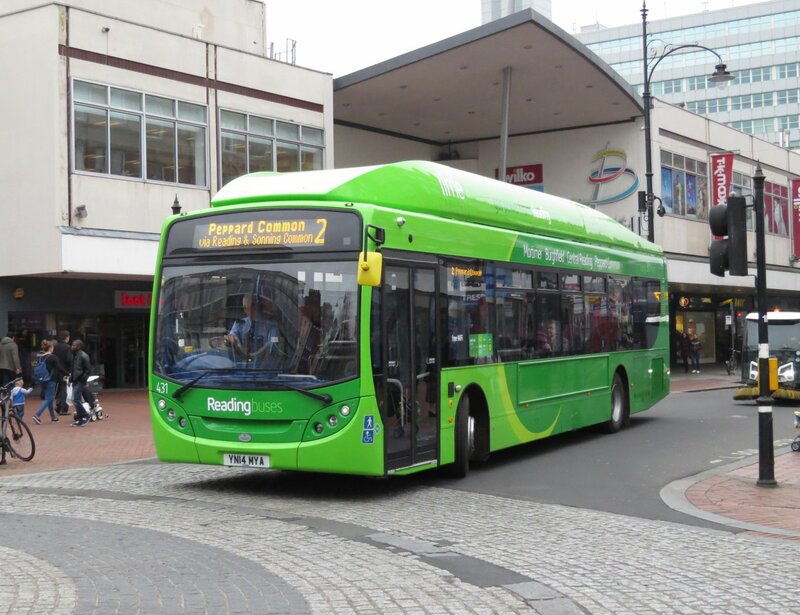 KX11 EER/S have been released from the Basingstoke Centre Shuttle contract which has been won by Stagecoach. Oxford Bus Company Fleet List: 11 has been repainted into X90 livery and renumbered 82, briefly appearing as 81 earlier in the week. Thanks to Malcolm Crowe for this. Stagecoach in Warwickshire Fleet List: 16693 has transferred to Stratford from Corby. 34497/8 have transferred to Stagecoach East this weekend. 34594/5 are expected to transfer from Northampton to Nuneaton shortly, and 34642 to Rugby. 35176 has transferred from Leamington to Corby. Megabus 53637 has gone on loan to Stagecoach Wales.